List Rules Vote up the most impressive practical stunts you can't quite believe they really pulled off. Forget Iron Man, forget James Bond. Fictional wimps, the lot. The real movie heroes are the fearless men and women who perform death-defying practical stunts, so that when Vin Diesel jumps a car through a wall of fire at 200 mph, it looks real to you. Because it is. Everything except for Vin Diesel, of course. To be clear, some actors do brave many of their own stunts. They will be honored on this list as well. Whether A-list movie star or stunt performer extraordinaire, these folks make a living doing what we only wish we had the guts to do. Some are action junkies, some martial arts masters, some working Joes with a penchant for pain. But one thing unites them all: They critically injure themselves regularly so that you and I don't have to suffer too much CGI. So what is a practical stunt? Basically, movie stunts they did for real. Some are augmented slightly by VFX, such as those performed in Mad Max: Fury Road, but these are stunts that, for all intents and purposes, were performed live before the camera. Action film practical stunts have long been a staple of martial arts cinema, and were a staple of old school Hollywood action extravaganzas like Stagecoach and Ben-Hur. So, without further ado, here is the list of the craziest practical stunts in action movies. And don't forget, vote your favorites up. When Jackie Chan Slid Down a Skyscraper in "Who Am I?" In the Holy Trinity of practical stunts, Jackie Chan is probably Jesus. Chan is famous for the death-defying stunts he performs in his movies, so much so that he sometimes has trouble outdoing himself. Which wasn't the case for "Who Am I? ", in which Chan performed a feat labeled "world's most dangerous stunt" by his producers. 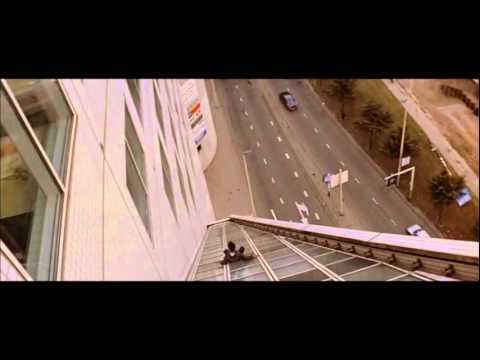 In the scene, he makes a hasty escape from a rooftop by sliding down the structure's steeply-sloped surface. No wires, no nets, just a man stumbling recklessly down twenty-one stories of glass window panes. For more Chan, check out that time in Police Story 3: Super Cop he jumped from a roof to a ladder hanging off a helicopter, rode it through a city, and dropped from it onto a speeding train. Or when he slid down a multi-story metal pole with an electric current running through it and careened through the roof of a mall kiosk in Police Story. see more on Who Am I? 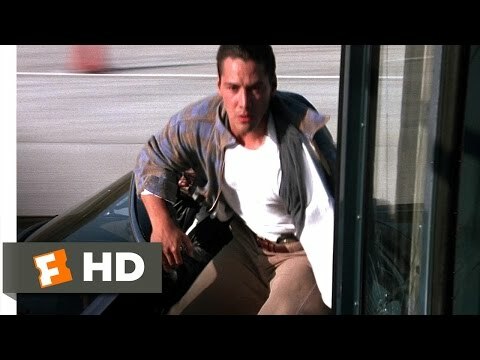 When Keanu Reeves Jumped from a Moving Car to a Speeding Bus in "Speed"
Keanu Reeves is not only The One, he's also a bit of an action junkie, and often performs his own stunts. In Speed, he not only lay on a little piece of plastic dragged under a speeding bus, he also jumped from a moving car onto the moving bus. And yes, just as Dennis Hopper insisted, the bus was going over 50 mph. When Buster Keaton Risked Being Crushed to Death in "Steamboat Bill Jr."
In the Holy Trinity of practical action pioneers, Buster Keaton is the god at its center. In Steamboat Bill Jr, he risked being crushed to death by a house for laughs. There have been tons of movies that have copied this famous scene from the silent era, in which a man standing in front of a falling structure is left miraculously unscathed thanks to a well-placed hole. 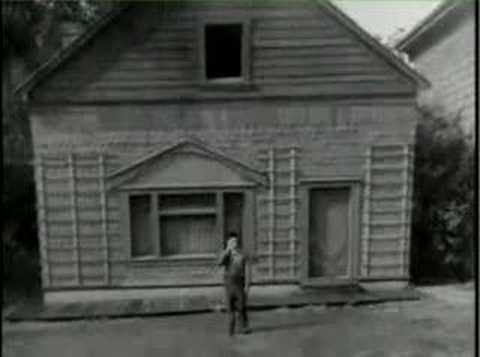 The difference is, the house in Steamboat Bill, Jr. actually did fall, and Keaton had the brass tacks to stand underneath it and hope nothing went wrong. Any tiny change in the way the house fell would have left Keaton dead. see more on Steamboat Bill Jr. When Tom Cruise Rode an Airplane Into the Sky in "Mission: Impossible 5"
While Tom Cruise's ascent up the outside of the Burj Khalifa in Mission: Impossible - Ghost Protocol, would certainly qualify for a position here, Cruise managed to top himself in the sequel, Mission: Impossible - Rogue Nation. How? By strapping himself to the side of an Airbus and riding it into the sky. Say what you will about Tom Cruise's eccentricities; there's no denying the dude has brass cojones.